The competitive bid, or hard bid, is the delivery method that is most familiar to owners. This is a bid where an architect, prior to bids being issued, has completed all construction documents (plans and specifications). After a request for bid or request for a proposal has been issued, contractors then bid the project exactly as it was designed with the lowest, responsible and responsive bidder being awarded the work. The design team is contracted directly with the owner. The design/build delivery method is a method where the contractor and the architect are one entity hired by the owner to deliver a complete project. A guaranteed maximum price (GMP) is provided by the design/ build team early in the project based upon design criteria and moderately developed design documents by the architect. The contractor/architect develop drawings that fulfill and meet the design criteria to complete the design while staying below the GMP. At this point, the contractor solicits and receives proposals from subcontractors and suppliers and awards subcontracts and purchase orders. 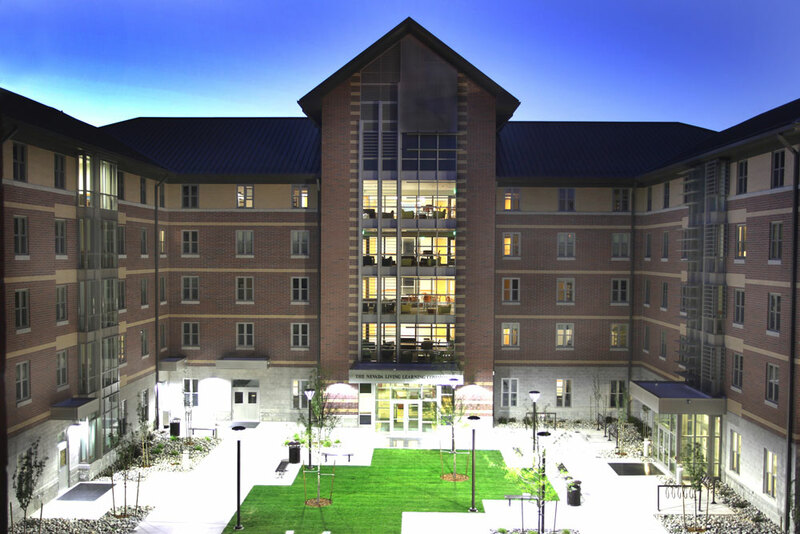 This project consisted of the construction of a 24,000 SF, 5-story Living/Learning Community at the University of Nevada, Reno campus. 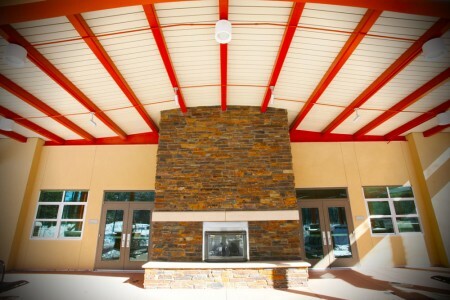 It was constructed of structural concrete masonry unit walls with a hollow-core, pre-cast, plank floor structure. It also included a full four-pipe mechanical system consisting of 2 high-energy, high-speed boilers and 2 turbo-core frictionless chillers. It was Certified as Leadership in Energy and Environmental Design (LEED) Silver. 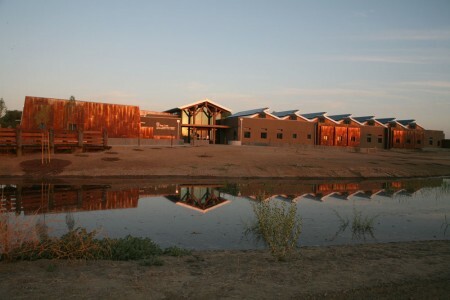 The San Luis project is one the largest ARRA-funded refuge construction projects in the Service. 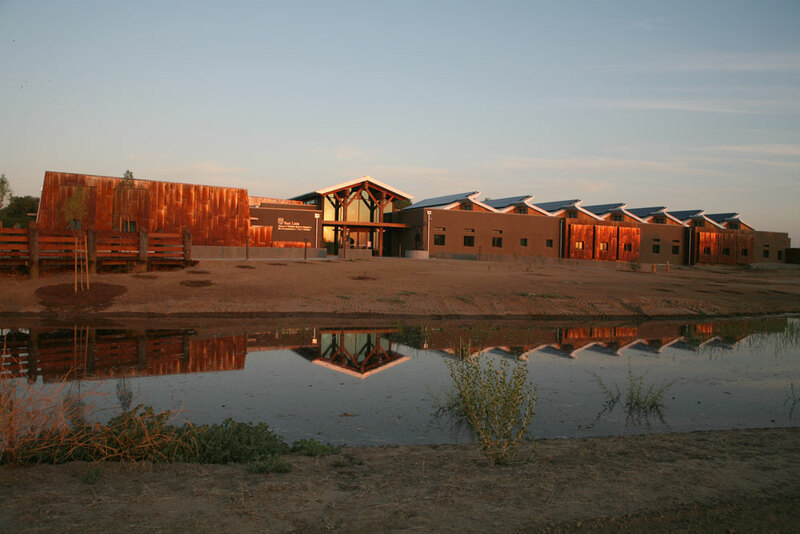 The design for the facility totals approximately 16,000 SF, and is located on the SW corner of the San Luis National Wildlife Refuge, approximately 8 miles North of Los Banos, California. Refuge management and administrative functions occupy approximately 11,000 SF and include workspace for 31 people. The visitor center includes 5,000 SF and contains a multi-purpose room/classroom, permanent and temporary interpretive exhibit spaces, and an information desk. Recently, this project was just certified LEED Platinum, the highest distinction available given out by the Green Building Council. This facility is part of a 45.76 acre Army National Guard Aviation Complex. 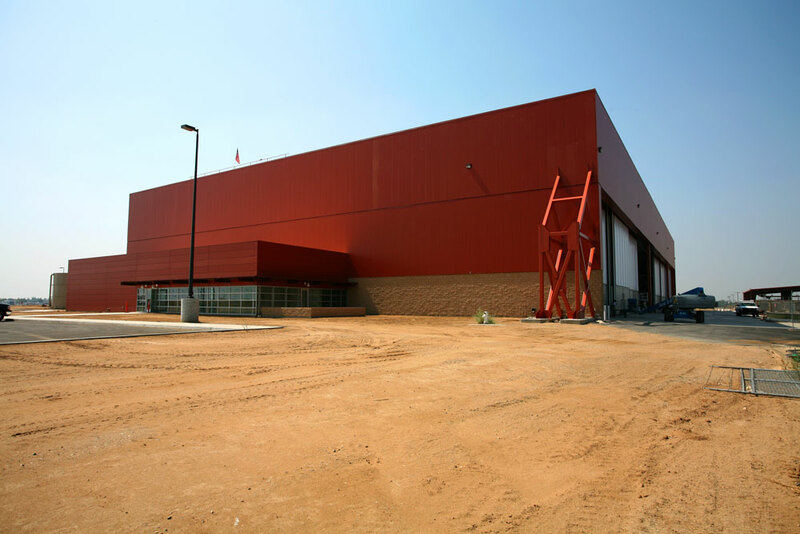 The Phase 1 facility is an approximately 90,000 SF hangar structure with equipment platforms and support areas. The facility itself is a long-span, steel-framed structure with concrete spread footing foundations. The building façade consists of split-faced CMU with punched windows and pre-formed insulated metal panel walls and SBS roofing. The hangar doors have field-assembled metal and polycarbonate panels. Construction included, but was not limited to, interior finishes for support areas, forced air mechanical (ventilation and condition)system, chillers, automatic sprinkler fire protection suppression and detection systems, an AFFF system, interior electrical distribution and lighting systems and communications systems. 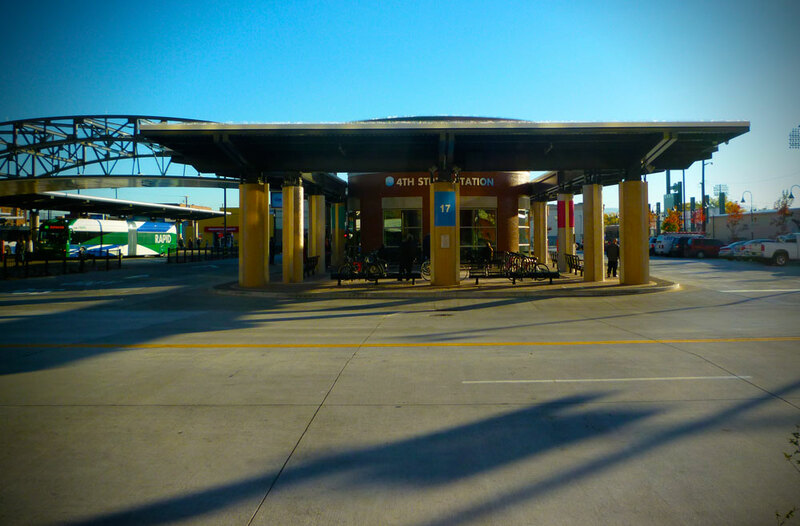 This project consisted of the construction of a new transportation hub in downtown Reno. This project included the construction of 2 new structures totaling over 14,500 SF, the complete removal of three adjacent roads and replacement of new utilities and concrete pavement. Construction of this project included tilt up concrete, along with an environmentally sensitive tree protection plan. 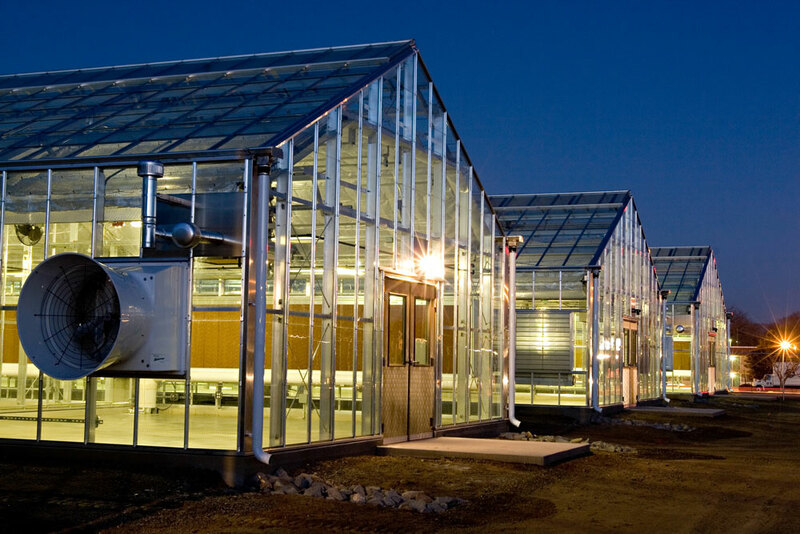 Construction of this project included a 60,000 SF laboratory and headquarters building complete with storage, a greenhouse, and detached central plant. The building itself is mainly used for research of local agricultural issues and innovations facing the Northern Nevada climate and region. It also included cold storage rooms, Laboratory casework, and cremation retort. 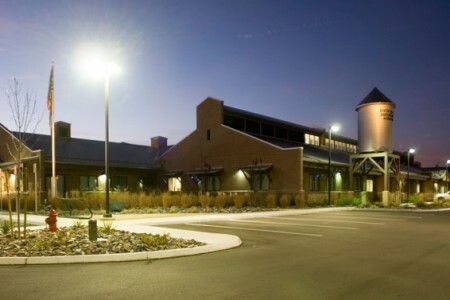 A LEED Gold facility, this project originally was only meant to consist of a Phase 1 but by working together with the Owner, WCC was able to incorporate a Phase 2 , an important aspect to the overall functionality of the building, with little impact to the original schedule. 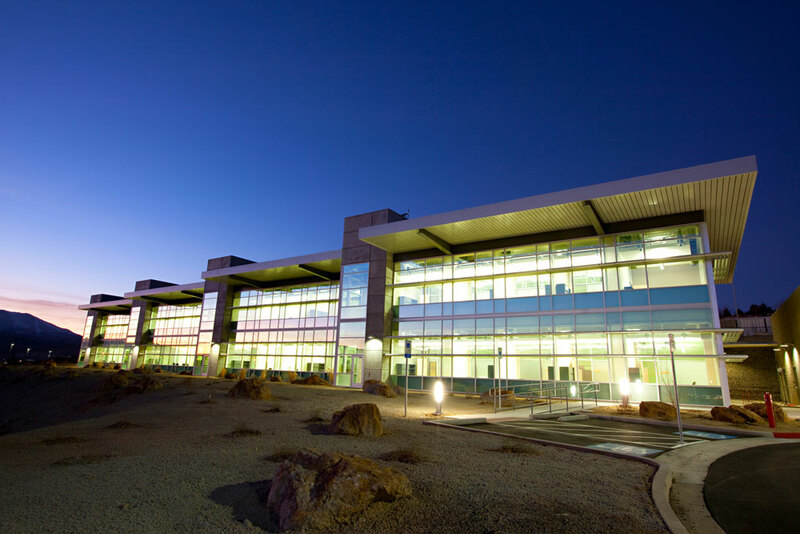 It is now one of the most advanced facilities of its kind on the Western United States. The project included concrete pre-cast insulated tilt-ups for the Main Operations Building and then 6 separate green houses, all constructed of glass and aluminum and consisting of independent environmental quarters.